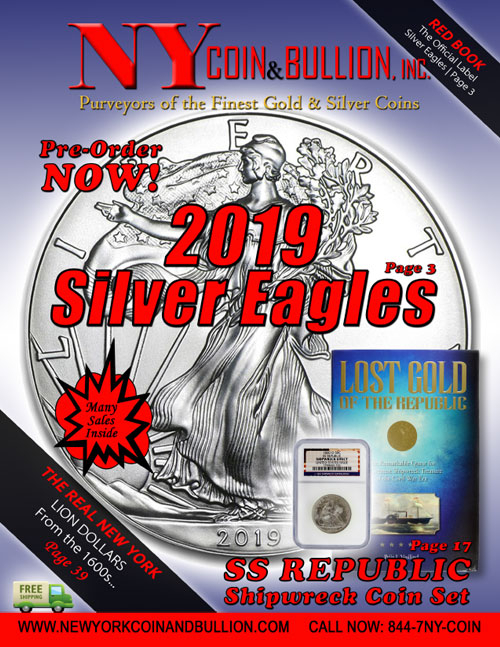 NYCB is not only a leading provider of the finest gold and silver coins available today, we’re a mainstay for clients looking for the right pricing when selling or grading their current collections. Our extensive years in the industry means you never have to be unsure of your collections value. Consult with one of our Professional Numismatic Specialists on how to sell or trade your collect at fair market values. Call: 844-7NY-COIN NOTE: Be sure to tell them you’re looking to sell your collection. Or email us at: info@newyorkcoinandbullion.com NOTE: In your email be sure to detail the coins as best you can with pictures, if possible. Also, provide the best means for getting back to you. NYCB looks forward to being your one and only Numismatic provider.